The Eagles have added two stadium concerts with the Zac Brown Band to their 2018 North American tour. The pair will play San Francisco’s AT&T Park on September 20 and will be joined by The Doobie Brothers for a September 22 appearance at San Diego’s Petco Park. An American Express Card Members presale begins Tuesday, January 16 at 10 AM local time with general public seats available Friday, January 19 at 10 AM local time. 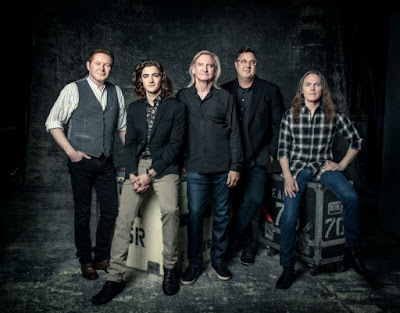 The extensive 6-month 2018 trek sees Don Henley, Joe Walsh and Timothy B. Schmit joined by the late Glenn Frey’s son, Deacon, and Vince Gill in the lineup following their first shows together in 2017. Guitarist Joe Walsh says the success of those events was directly responsible for the group's decision to play more shows. "We spent a long time after Glenn passed in discussions, and we needed to put some time in there," Walsh told Billboard last summer. "But in the course of talking we started thinking about, 'What if the Eagles were gonna continue?' and what would that be, and gradually some clarity started to come in. Glenn's son Deacon is a pretty good musician and... that chemistry is there. Vince Gill has been a really good friend of the band for a long time, and he grew up listening to the Eagles.